Step-by-step instructions for healthy fruit bars—a perfect lunchbox snack or delicious dessert. There’s a lot to love about this fruit bar recipe. First, this is one of the easiest dessert recipes we’ve ever created. The crust comes together in a snap in your food processor and doubles as the topping with some more chopped nuts stirred in. Don’t love nuts? It’s equally good with oats. No need to bust out your rolling pin; you just press the crust right into the baking dish. 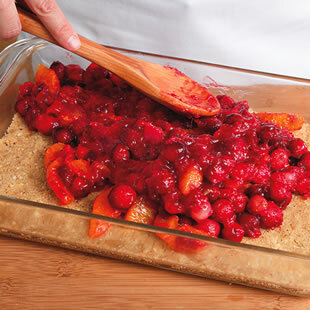 And the versatile fruit filling works with fresh, frozen or even dried fruit. This recipe makes a nice-size batch of bars, perfect for toting to a party. They also hold well for up to 5 days, so they’re great to make on Sunday to put in lunchboxes during the week as a treat. Combine 3/4 cups nuts (or oats), whole-wheat flour, all-purpose flour, sugar and salt in a food processor; pulse until the nuts are finely ground. Add butter; pulse until well incorporated. Whisk egg, oil, vanilla and almond extracts in a small bowl. 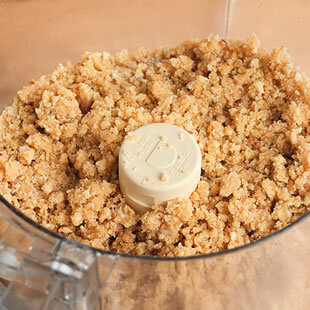 With the motor running, add the mixture to the food processor. Process briefly, then pulse, scraping down the sides, if necessary, until the mixture begins to clump, 30 to 45 seconds (it will look crumbly). Measure out 1/2 cup of the mixture and combine in a bowl with the remaining 1/4 cup chopped nuts (or oats. Set aside for the topping. 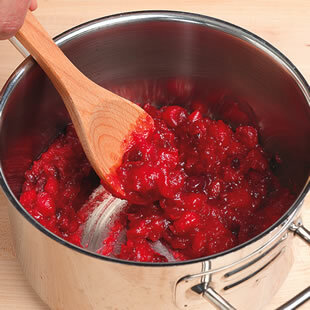 Combine cooking fruit, juice, sugar and cornstarch in a large saucepan. Bring to a simmer over medium heat, stirring constantly, until the mixture is very thick. (It may take up to 10 minutes to get a thick result if you start with frozen fruit.) Stir in uncooked fruit and flavoring. Transfer the dough to the prepared baking dish. Spread evenly and press firmly into the bottom to a form a crust. Spread the fruit filling over the crust. Sprinkle the reserved topping over the filling. Bake the bars for 15 minutes. 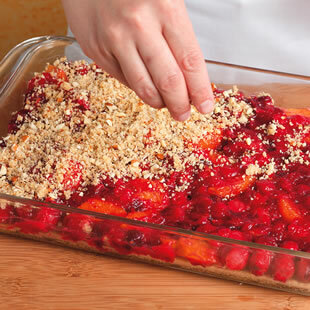 Reduce oven temperature to 350° and bake until the topping is light brow, 25 to 30 minutes more. Let cool completely before cutting ito the bars, at least 1 1/2 hours. Strawberry and rhubarb are a classic combination—try them in these easy-to-make fruit bars. These easy apple-cinnamon fruit bars make a big batch—perfect for fall potlucks and parties. Try your favorite combination of stone fruit, such as peaches and cherries, in these easy fruit bars.